The Broadway Roastery on 8th Street is a very family-friendly place to meet up for coffee or tea. Snag a table by the children's play area, and your little ones can rifle through the toy box while you enjoy your favourite Roastery beverage and perhaps even a little adult conversation. 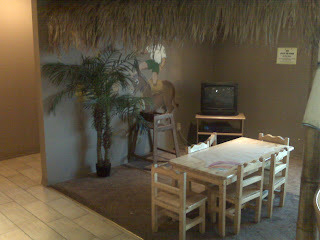 The play area features a little table and chairs and a television with a VCR and a few children's movies. The Broadway Roastery on 8th also has high chairs and a change table. P.S. My Roastery crave is the Café Broadway with hazelnut espresso, chocolate milk and chocolate whipped cream. What's yours?